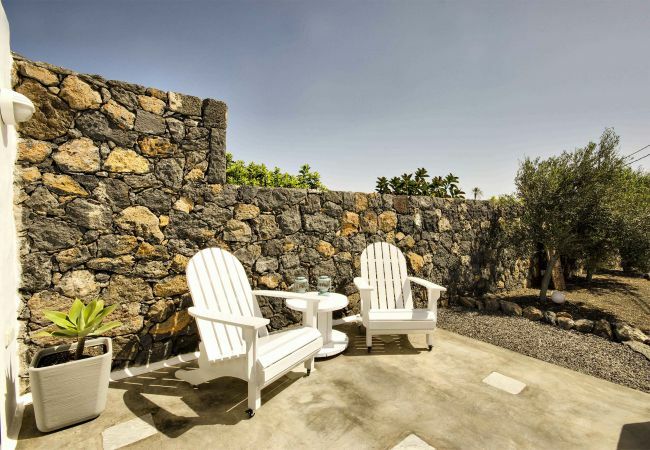 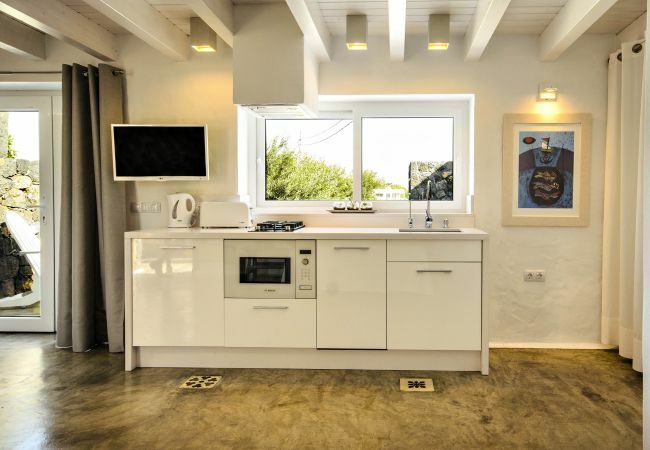 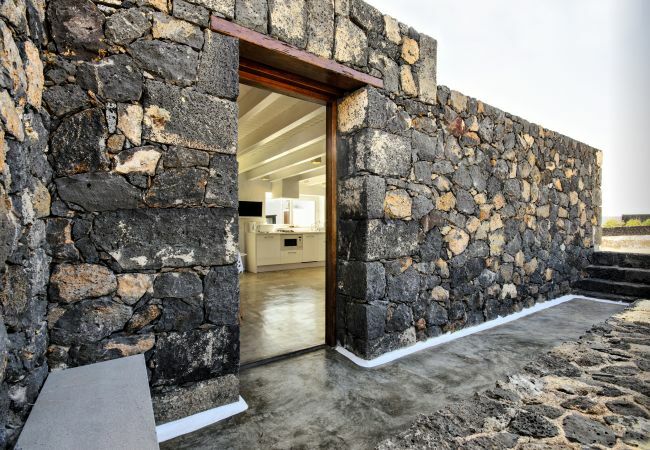 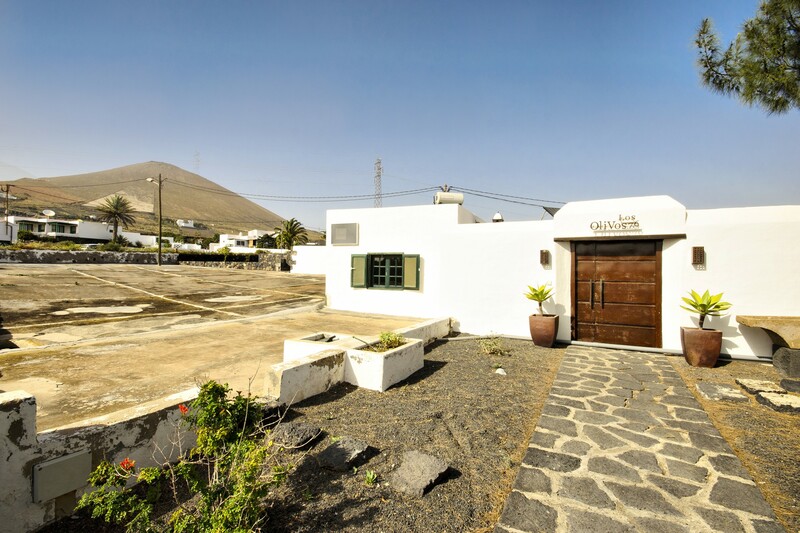 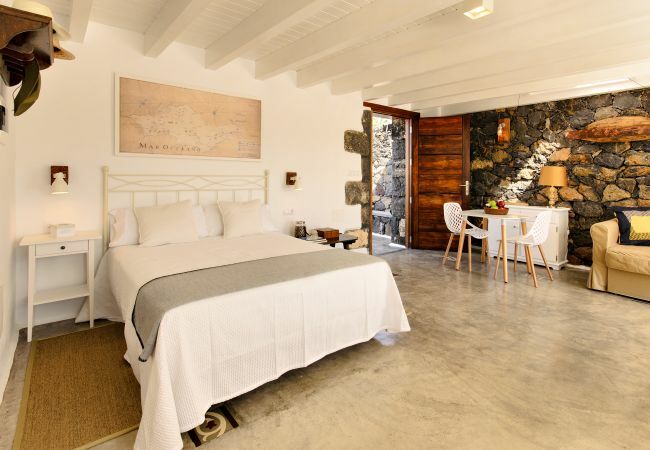 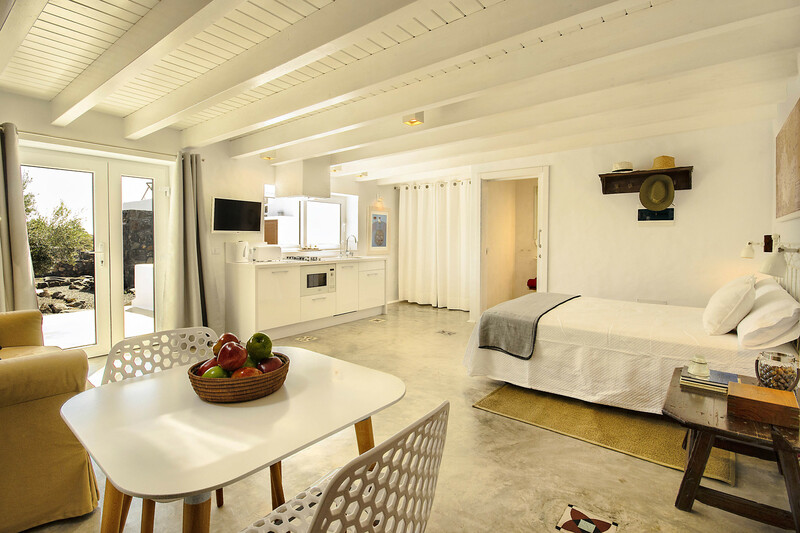 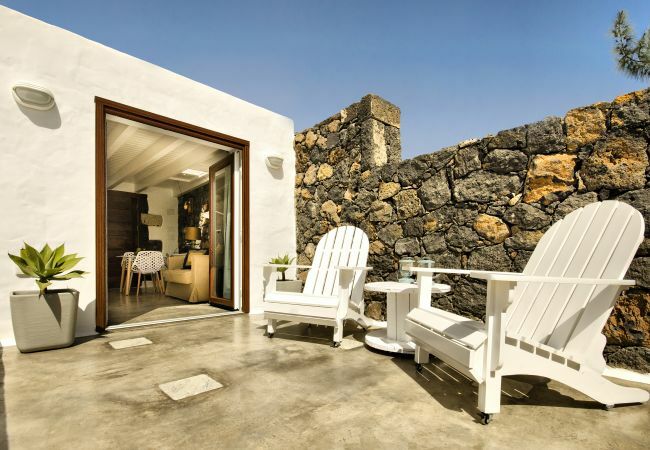 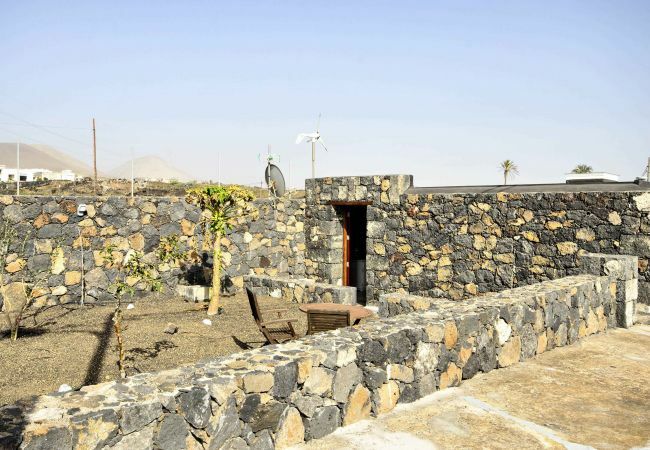 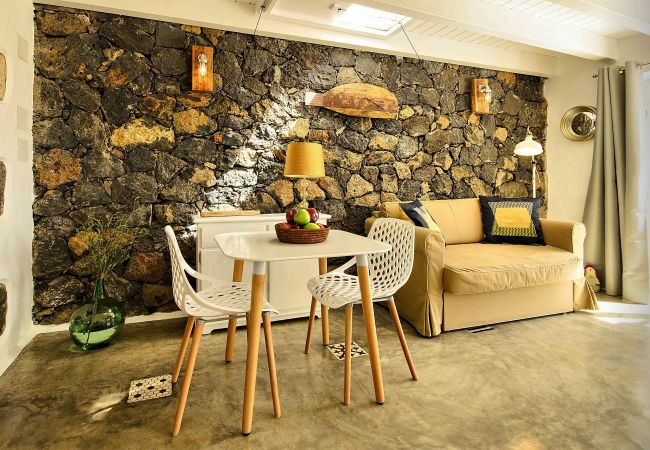 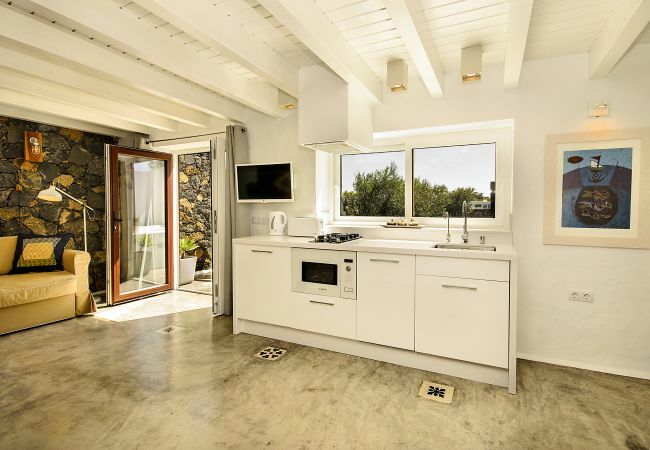 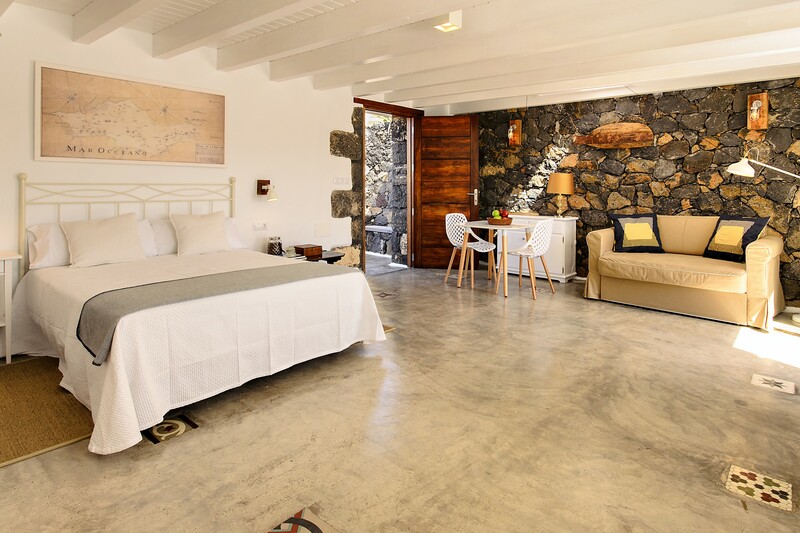 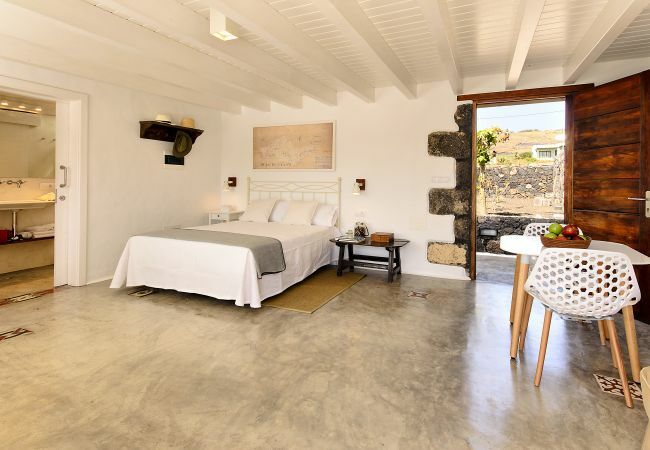 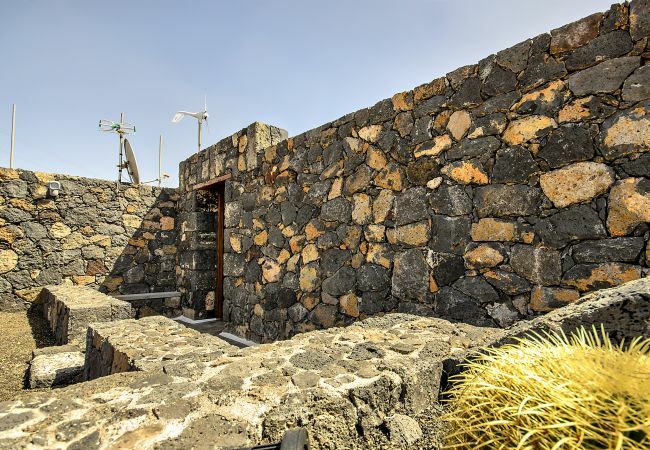 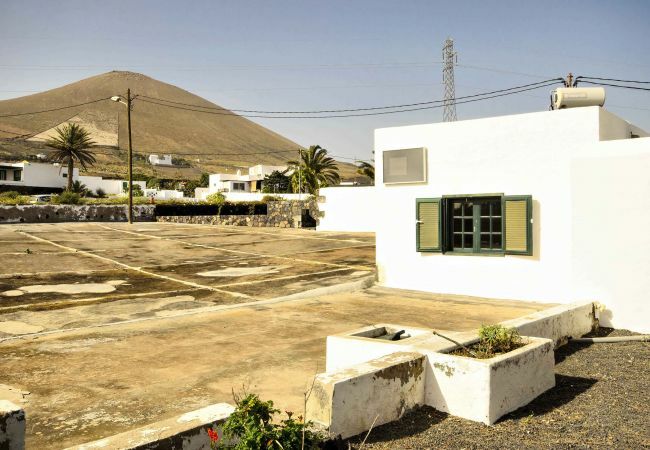 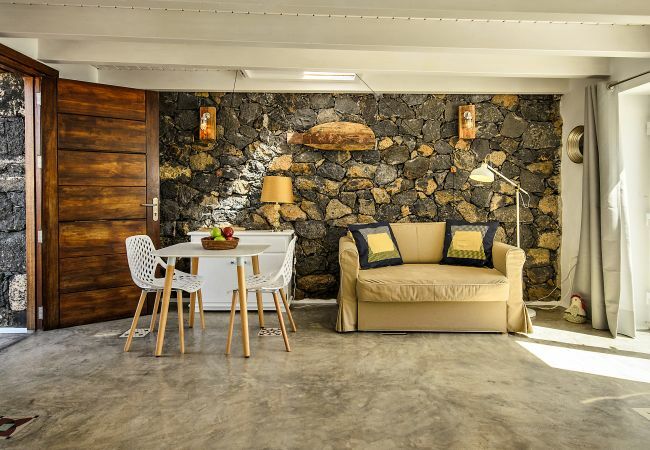 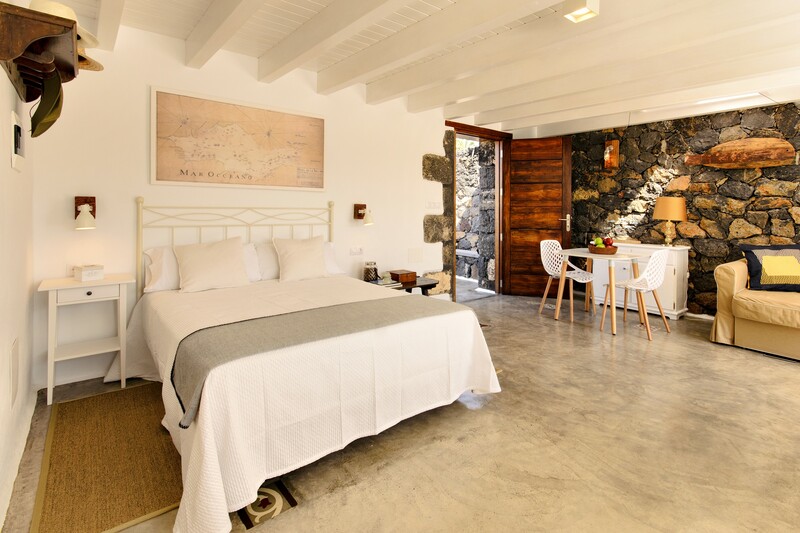 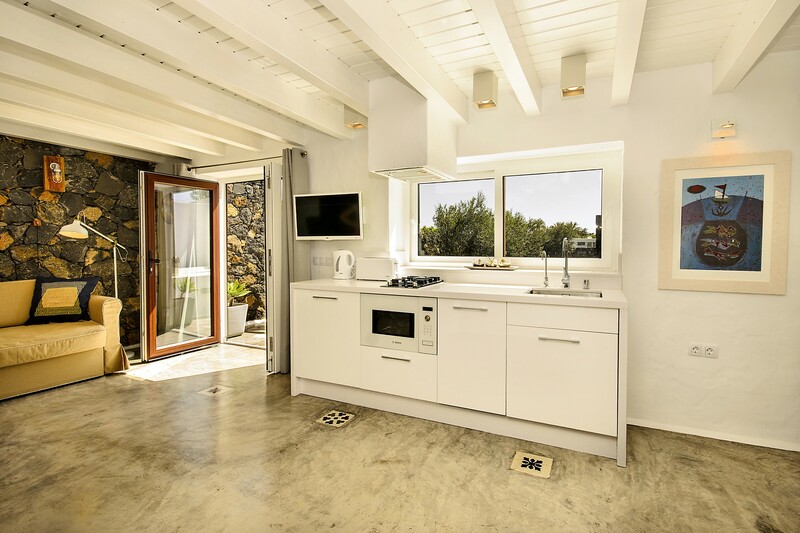 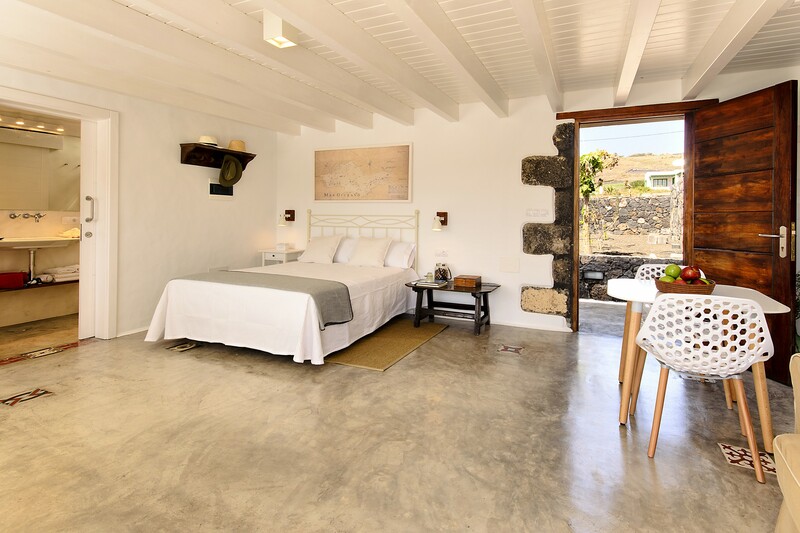 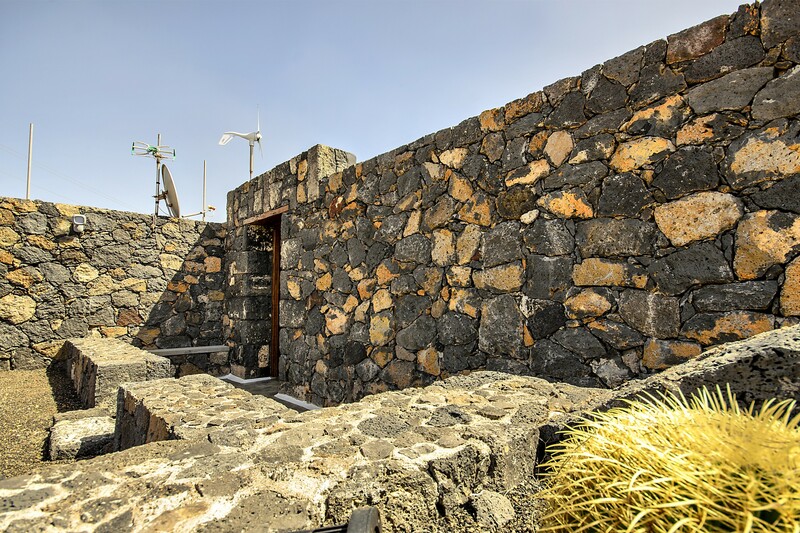 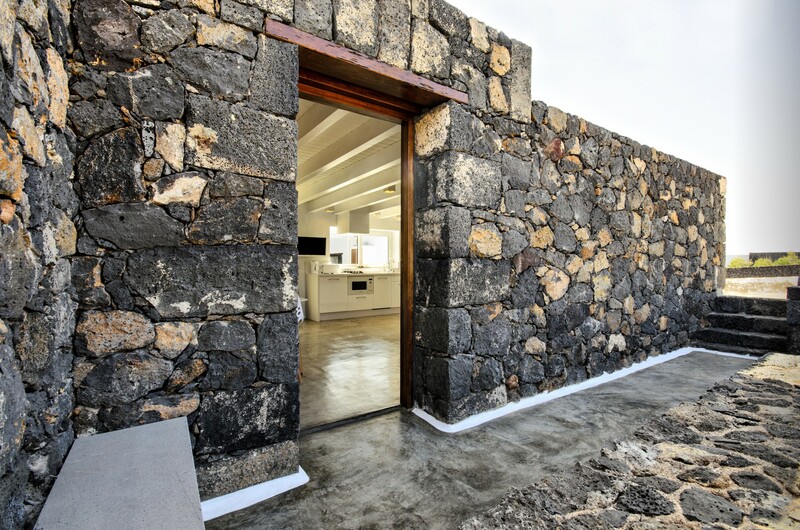 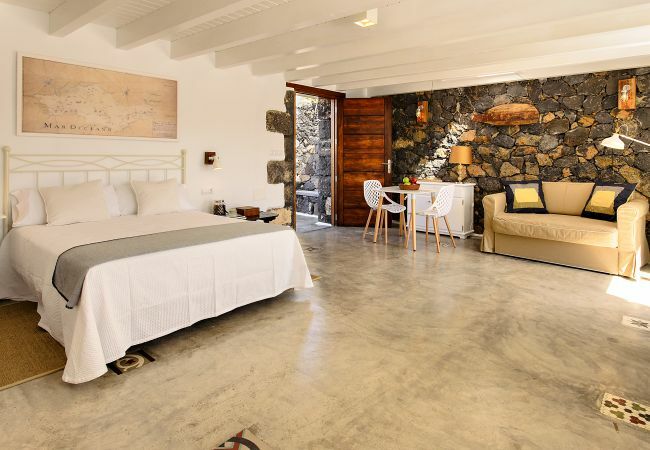 EcoLiving Olivos76 is located in Macher, a very central area of ​​Lanzarote. 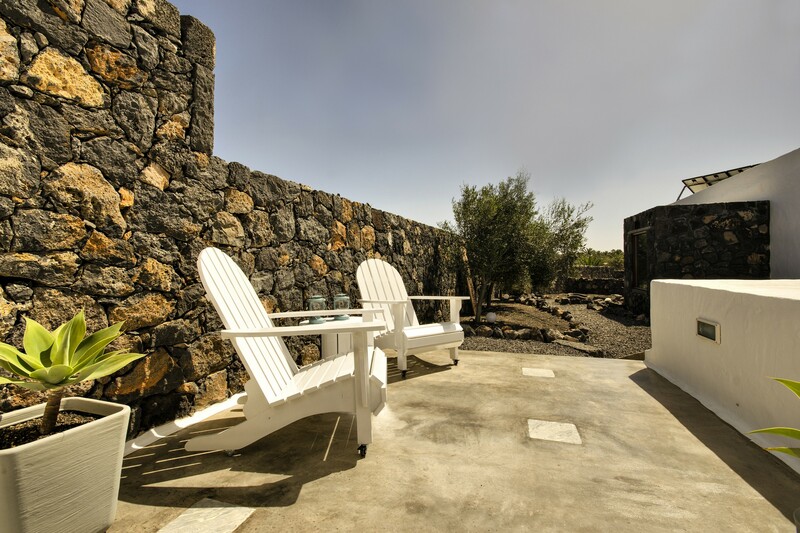 Strolling towards the mountains you will enjoy the views towards the volcanos of La Geria, seas of lava,, wineries, vineyards, gastronomy: Lanzarote! 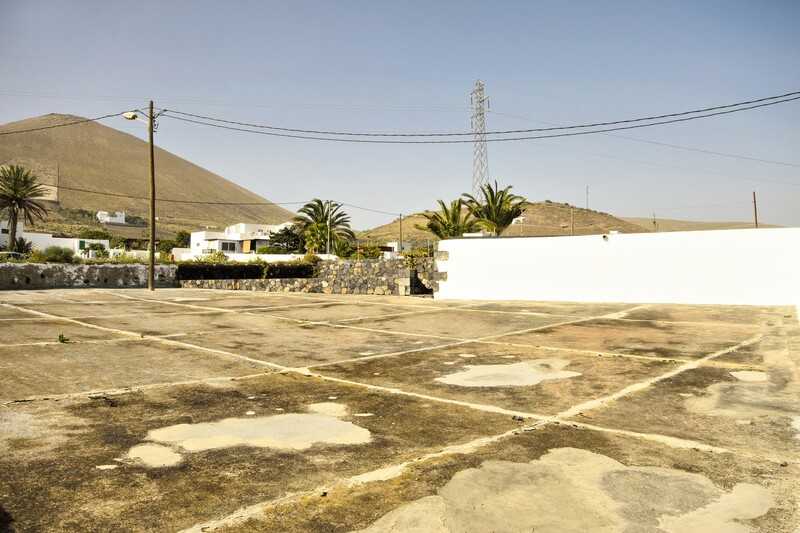 This area is very quiet and very easy to get around and enjoy Lanzarote. The studio is next to our house but it is totally independent. Views to the garden of olive trees, has a terrace for sunbathing and orchard with fruit trees with seating furniture. 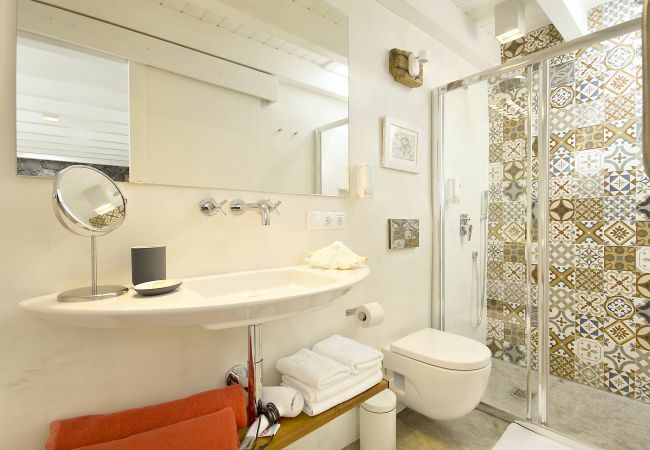 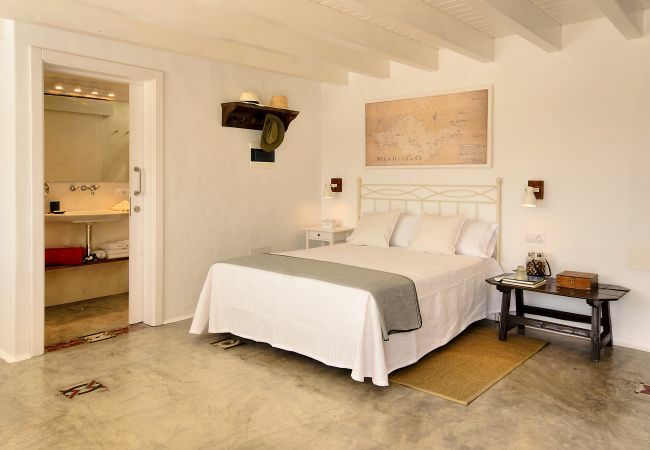 The interior is designed by Andres, lover of the decoration, using old elements and modern touches, isolated with the latest materials under construction. The studio has lots of natural light, local art, warm colors, lots of wood, wide walls, white walls and cement floors. 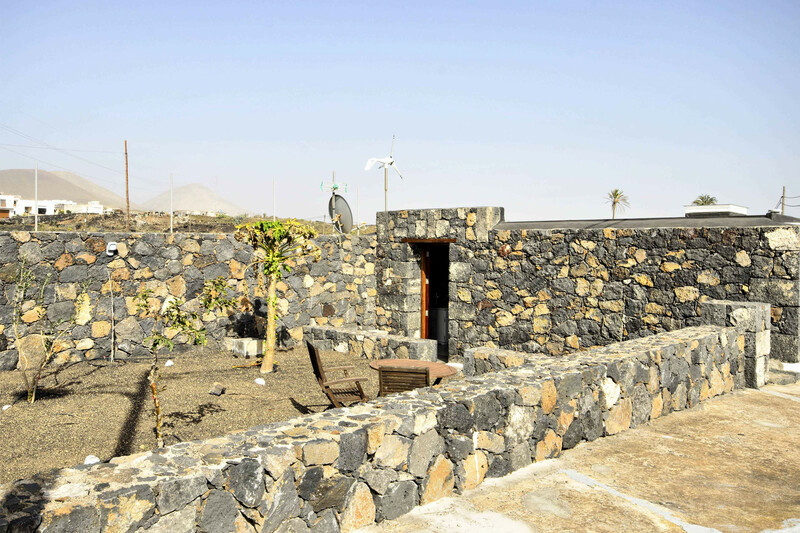 The house uses renewable energy for lighting and we collect water from the rain for daily use, we are lovers of the planet and we preach an example, we encourage you to recycle. 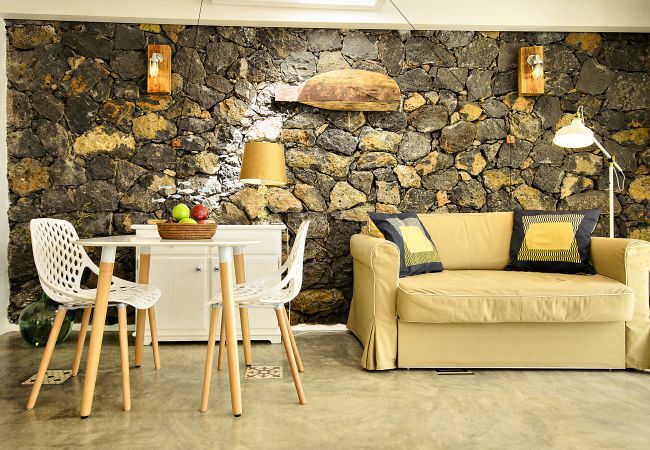 A corner in Macher ideal to rest and charge batteries. 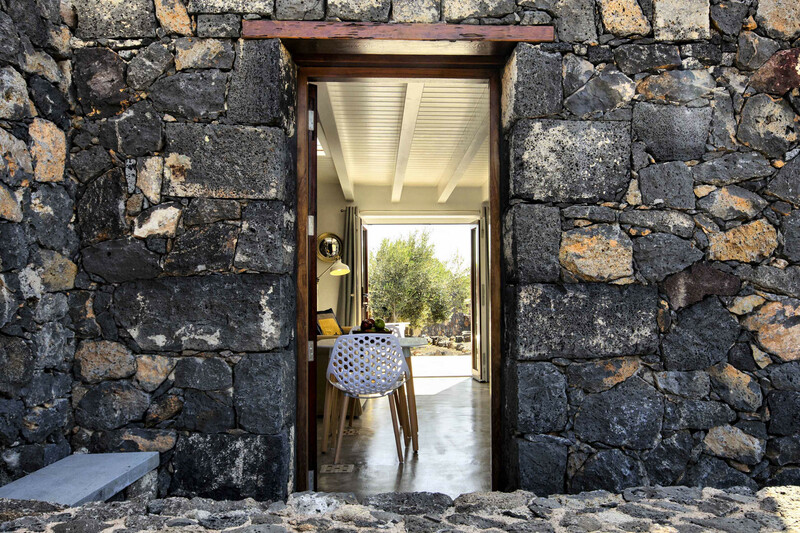 WELCOME: We request your arrival information in order to organize your check in. 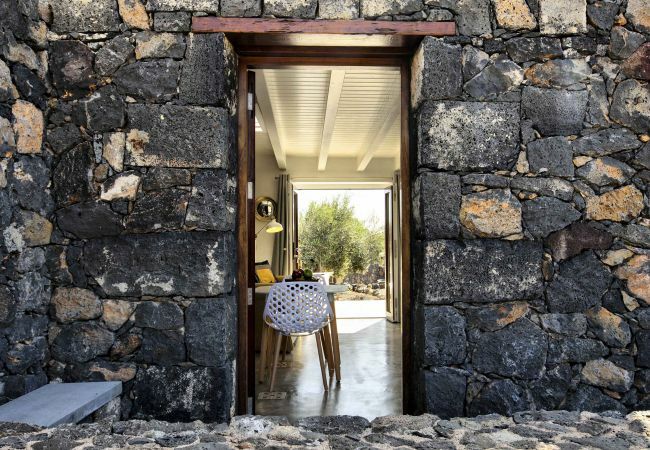 Whenever it is possible for us, we welcome our guests at the door of the house. 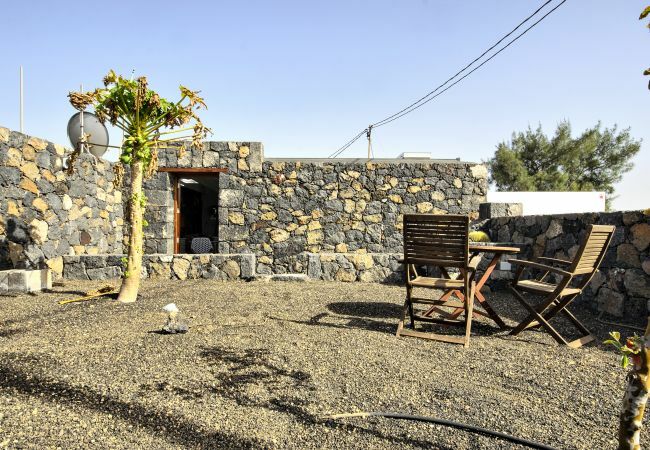 There we complete a brief check in form, we give you a welcome pack (water, milk, packets of coffee and tea, cookies, crackers, ½ bottle of wine from Lanzarote and a cleaning kit) along with a welcome letter with personal recommendations of the island along with helpful information and telephone numbers. 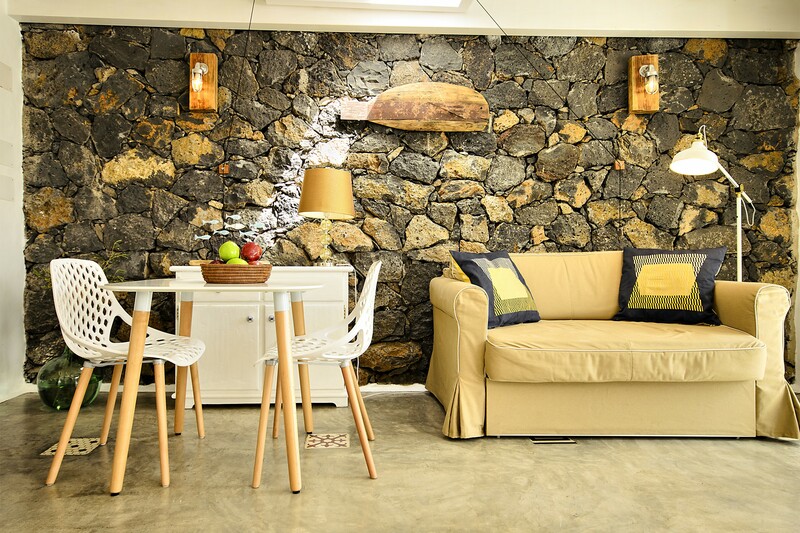 We are available when needed to resolve any questions you may have and we remain at your disposal 24 hours for anything you need. 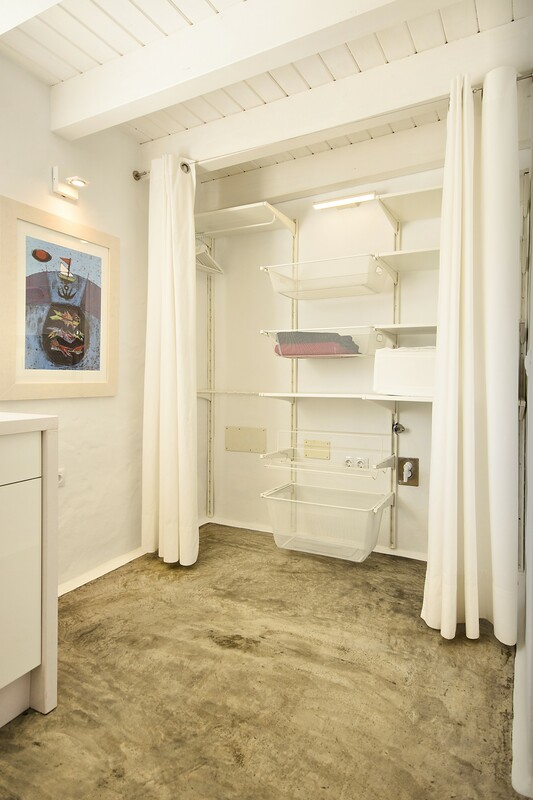 For the little ones, we can, for an additional fee organise a BABY PACK (cot, high chair, linen, blanket, towel, shower kit as well as portable bath and dishes apt for children). 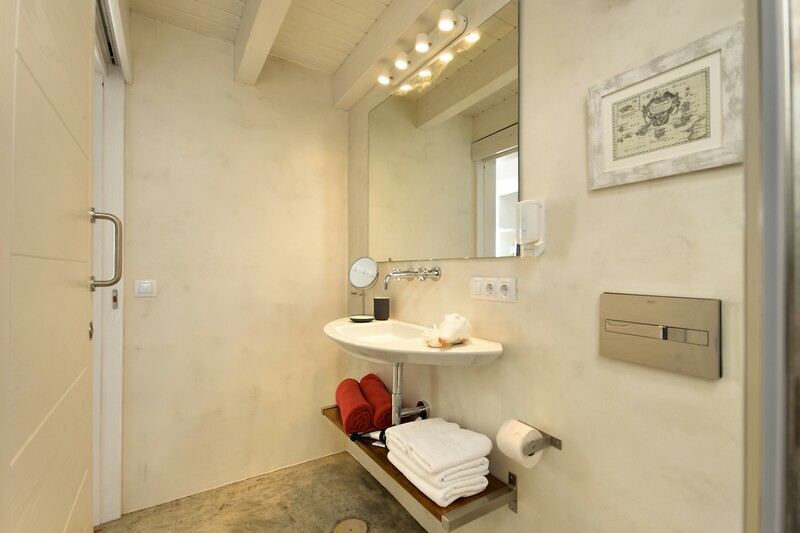 Request this before your arrival. 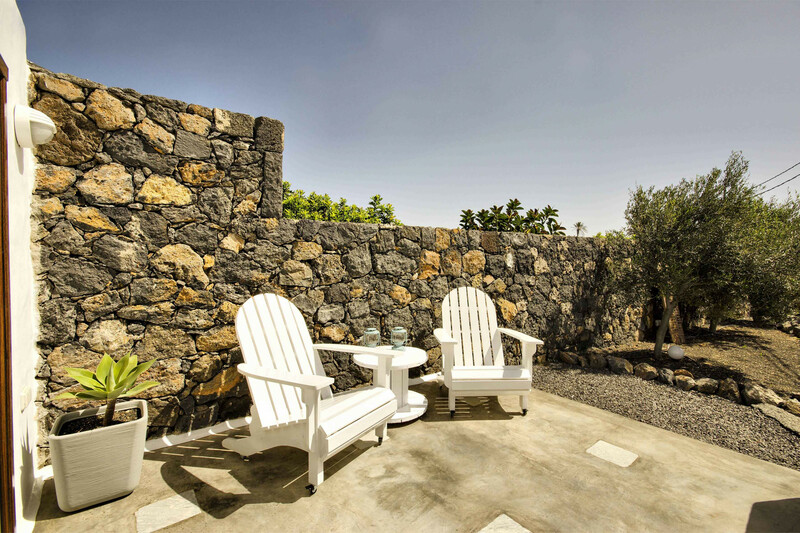 The check in time is from 3:00 PM. The check out of the house is by 12:00 PM. 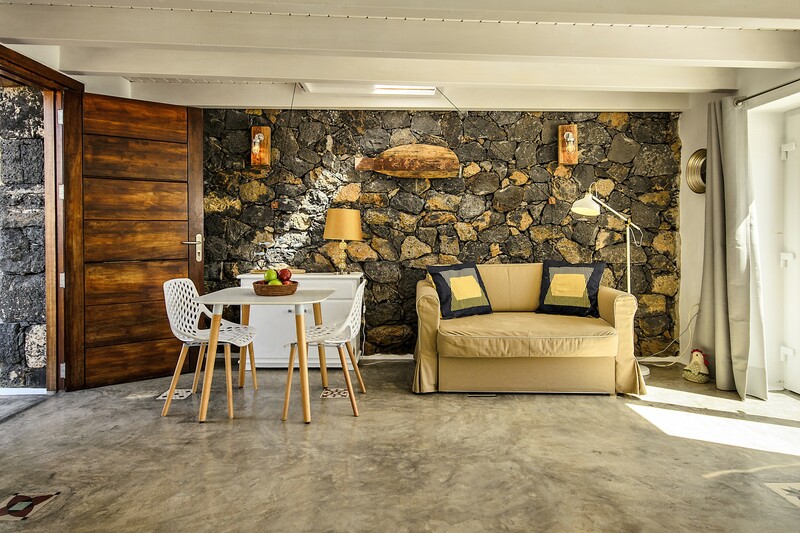 If you want arrive before or leave later, no problem, tell us to check availability. CLEANING: The house comes with fresh clean sheets, fresh bath towels, beach towels and tea towels. 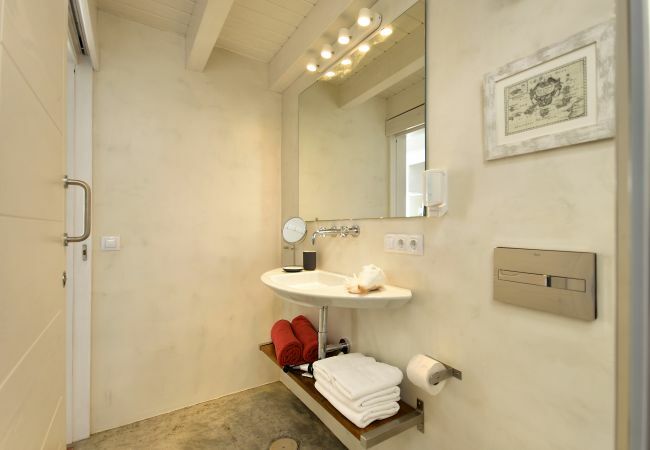 In the bathroom: hand soap, moisturizer dispenser and gel/shampoo dispenser. 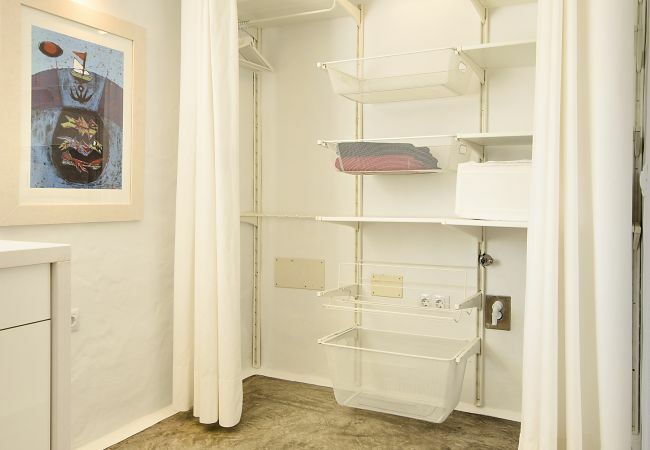 Additionally we leave an extra set of bath towels and sheets. 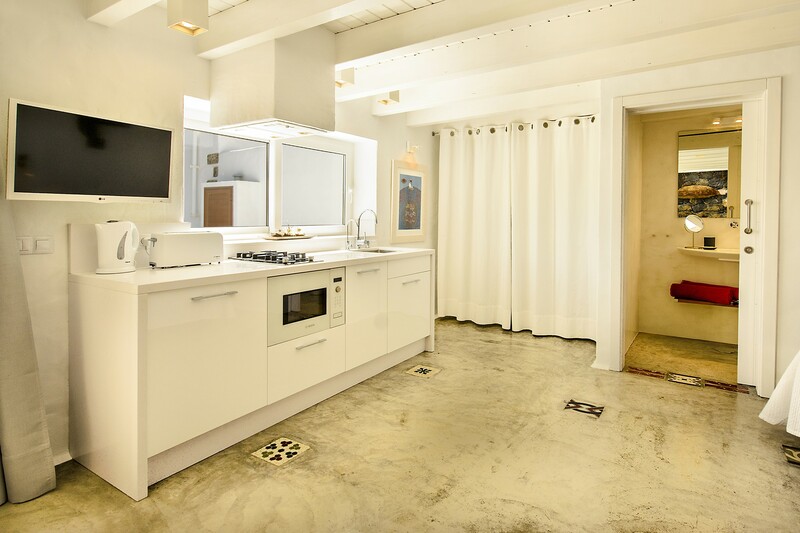 This cleaning service carries a fixed charge. If you want extra cleaning service during the stay please just ask us for more information. CAR RENTAL: I recommend you hire a rent a car before coming to Lanzarote as there is a high demand. We work with a strong company on the island, for your booked dates I can organise and book your car with special conditions, included tax fees, free cancellation, no deposit fee required, full insurance, no fuel charge, unlimited kilometres and a second driver included. If you would like me to arrange the rent a car booking, all I would need is your flight details. 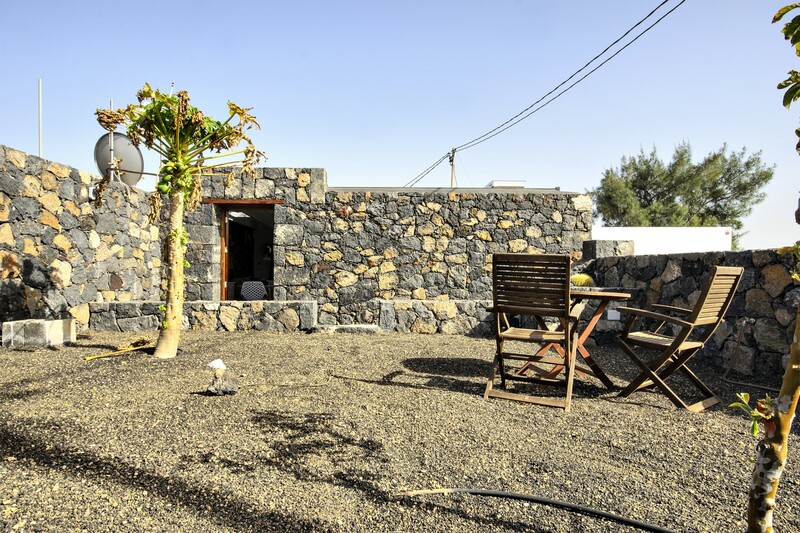 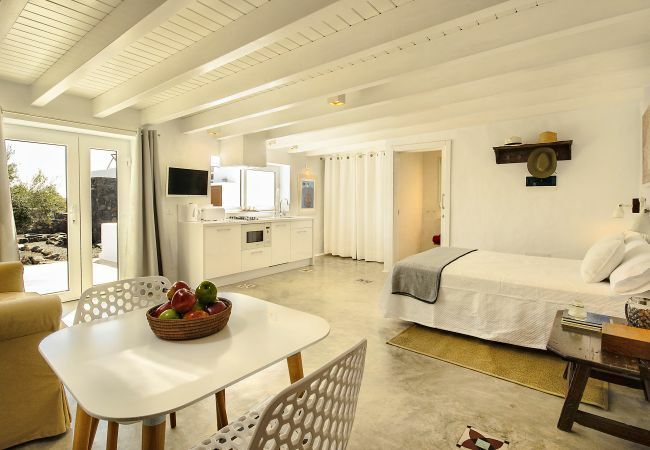 - 1 TV, TV Satellite (Languages: Spanish, English), garden, garden furniture, fenced garden, 8 m² terrace, iron, internet (Wi-Fi), hair dryer, 35 m² property, 42 m² plot, single boiler on gas, Open-air parking in the same building, 1 fan.